As indicated in the name, automation refers to something automatically occurring. Within manufacturing, process and production automation occurs with the use of robots and control systems, amongst other things which reduce direct human involvement. So what is the cost of industrial automation? This has led to an increase in labour productivity rate and a mystified belief that industrial automation costs jobs, however in reality the cost of industrial automation is not job loss as these jobs are just recreated as new upskilled roles. In fact 85% of jobs that will exist in 2030 have yet to be invented. Industrial automation can be traced back to 1947, with the early use of basic pneumatic and hydraulic systems, great advances have since transformed how automation works. Although automating production processes can be extremely cost effective, the initial capital investment with the cost of industrial automation can be significant and the return on investment might not be as quick as hoped. This tends to make smaller firms reluctant, meaning they lag behind, but there are government initiatives and help out there for the industry. Systems do not have to be fully automated and incremental automation and innovations can be implemented over time to reduce the costs long term. There has been acceleration in the growth of fully automated production facilities as cheaper, more capable and flexible technologies emerge overseas. At one factory in Japan, industrial robots are producing industrial robots, under supervision of only four operators per shift. Again, removing human involvement by allowing them to upskill to less repetitive and dangerous roles. Also in turn improving quality, eliminating errors and cutting manufacturing costs. The International Federation of Robotics (IFR) estimated that 2.3 million units of automation technology will be deployed this year compared to only 1 million units in 2009. As more and more robots are produced, the cost of industrial automation and these robot arms have gone down significantly. There has also been an ease of integration which has been brought about by the advancements in computing and software development. As machine learning improves and sensors develop further, this is allowing robots to become smarter. Where early robots blindly followed the same path, lasers and vision systems can now be used to detect orientation of parts and adapt their movements in real time. Robots and humans can now work safely alongside one another. These collaborative robots (cobots) are equipped with sensors that allow them to automatically stop or alter its path if they come into contact with humans. Assessing the full costs of automating production is not a simple task as every industry has its own unique operational requirement set of and raw materials so it is not a case of “X costs less than Y, therefore X is better”. 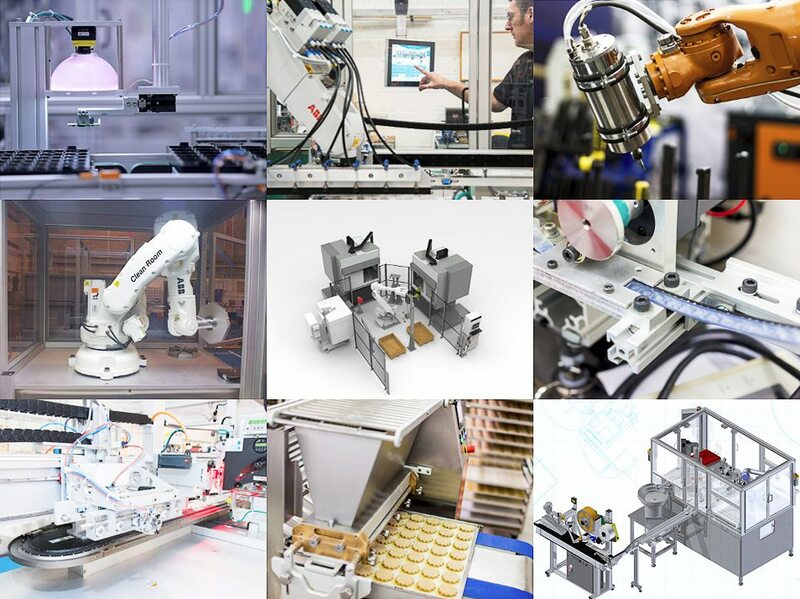 There are so many different types of robots and so many more different types of automation system all which would suit their own automated manufacturing process. Things such as payload, environment, material and flexibility all have to be taken into account. As well as the operational costs, downtime, operator training and a long term strategic plan needs to be set out. Below is an example of a typical ROI cash flow analysis to give an idea of investing in a basic robotic arm. Many companies base payback periods over two years but this short term thought process can stifle growth. If this is stretched to an additional year, then instead of having £200k (2x£100k) from the above figures, this could be increased to £300k, which could potentially give you a system that will future proof your business in terms of growth. The automation will still be running in 15 years, and providing higher quality and higher output, so businesses really do need to look long term for the duration of payback. Generally, in the cases that we see, the ROI when looking to automate manufacturing processes outweighs the reasons to not invest. The overall value of automation is to decrease costs and increase revenue. This is done by increasing the throughput, improving the quality, increasing repeatability and reducing the labour related costs. Your customers want it faster, better and cheaper. Your competitors are closing in and the stakes are getting higher for sustained profitability. The robots spending is booming, the cost of industrial automation are coming down and as robots are getting smarter long term investment in industrial automation must seriously be considered.